Gemini monsters (Japanese: デュアルモンスター Dyuarumonsutā "Dual Monster") are Effect Monsters with the ability "Gemini". Normally they are treated as Normal Monsters on the field, but they gain their effects if they are Normal Summoned while already face-up on the field. Gemini monsters debuted in Tactical Evolution. Several members have made brief appearances in Yu-Gi-Oh! 5D's, Yu-Gi-Oh! ZEXAL and Yu-Gi-Oh! ARC-V. "Phoenix Gearfried" is on the poster for the World Racing Grand Prix, "Gigaplant" appears in a flashback of Akiza Izinski's past, and "Crusader of Endymion" has been seen played by random Duelists in "Operation: Capture Yeager II!" as well as "Go With the Flow, Part 1". Multiple copies of "Ancient Gear Knight" are used by members of Duel Academy during their invasion of Heartland City in "Sora's Secrets: Part 2". Rin used "Lucky Pied Piper" in a flashback in "City 'Scape". "Future Samurai" appeared in a flashback, used by No.9 in "An Evil Ascends". The first Gemini monster that made an appearance in a proper Duel is "Phoenix Gearfried" in "Despair From Darkness", under the ownership of Takeru Homura. The "Chemicritter" archetype is heavily focused on, and almost completely composed of, Gemini monsters. Many of the "Red-Eyes" monsters introduced in Series 9 are Gemini monsters. Normally, while a Gemini monster is face-up on the field or in the Graveyard, it is treated as a Normal Monster by its own effect. (In all other locations, it is treated as an Effect Monster.) While a face-up Normal Monster on the field, its controller can Normal Summon it (despite already being on the field) in order to have it become an Effect Monster and gain its effects. This Normal Summon is referred to as a Gemini Summon (Dual Summon in Japanese) in some video games. Tributes are not required to Normal Summon a Level 5 or higher Gemini monster that is already on the field. Cards and effects that are targeting or affecting the Gemini monster (such as Equip Spell Cards) remain in effect after the Summon. Normal Summoning a face-up Gemini monster is still a Summon, so it can be negated by cards and effects that negate Normal Summons. Decks built entirely around Gemini monsters are almost all Aggro Decks with strong field control, some capacity for field-swarming, and quick Synchro. However, the main strength of this archetype is versatility. Gemini Decks can vary greatly in specialty and method of operation, so much so that (unlike many archetypes) any two examples could be almost entirely different outside of two or three monsters and traps. The major types of Gemini Decks are Field Control (which tend to focus on destruction effects), Equip (which focus on Equips and often lean towards Warrior Gemini monsters), and the most popular: "Gigavise" (which focuses on abuse of the effect of "Gigaplant" effect to field-swarm Plants or Geminis, sometimes going for the Gigaplant OTK). Some may include elements of all these types. Now, with the debut of Xyz Monsters, Decks that revolves on Level 4 or lower Gemini and non-Gemini monsters has good potential in conducting a quick Xyz Summon of Rank 4 or lower Xyz Monsters. 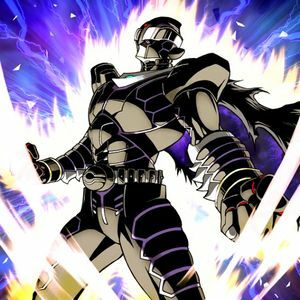 Gemini monsters have seen an upswing recently in inclusion in anti-meta Decks, with the powerful beatsticks ("Elemental Hero Neos Alius" and "Crusader of Endymion") splashing in with support from "Honest" and "Gemini Spark". The Fusion Monster "Superalloy Beast Raptinus" causes them to gain their effects immediately, and can be fused from any two Gemini. "Elemental HERO Neos Alius" is an ideal Fusion Material Monster for the "Elemental HERO" fusions with non-specific fusion material based on the different Attributes. What makes it really impressive is the use of "Super Polymerization", enabling not only discards (which are beneficial to a Deck of this kind) but the theft of certain monsters depending on attribute. They benefit greatly from the many support cards that allow Normal Monsters to be Summoned back from the Graveyard, like "Birthright". Gemini monsters can play an important role in Decks based around Normal Monsters. A good example of this is "Cú Chulainn the Awakened", seeing as he can use the ATK of a Normal Monster in the Graveyard. If your Gemini Deck consist of utilizing level 4 Gemini monsters, adding in "Gemini Spark” would be extremely effective in dodging inevitable trap cards or removing any target on the field. What makes "Gemini Spark" effective is the ability to chain it to an opponent's card such as "Bottomless Trap Hole", which not only saves your monster from being banished but also enabling you to draw 1 card. In addition, "Gemini Spark" also benefits Gemini monsters such as "Blazewing Butterfly" which depends on a Gemini in your Graveyard. In Gemini decks that focus on gaining the effect of “Gemini” monsters, running "Supervise" is a must. Combos with “Supervise” involve “Evocator Chevalier” which destroys any card your opponent controls and reviving a Normal Monster from your Graveyard. Since "Gemini" monsters are Normal Monsters while in your graveyard, adding "Swing of Memories" can be of great use. 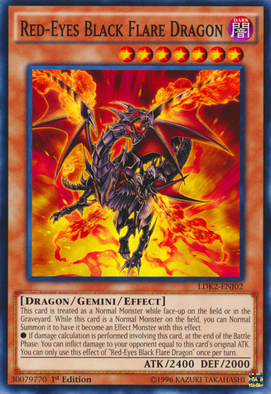 This card proves versatile with the addition of Xyz Monsters, one may summon a monster on the field then use "Swing of Memories" to revive a Gemini in the graveyard, which will then set-up for an easy Xyz Summon (since most Geminis are level 4), a Tribute Summon (such as "Knight of the Red Lotus") or Synchro Summon if a tuner is available. "Knight of the Red Lotus" is another great addition for a Gemini deck. This card resurrects a Gemini monster from your graveyard every turn. Although this card is a tribute summon, you may special summon it if the requirements are met. Xyz Monsters such as “Daigusto Emeral” may also be of great assistance in reviving a Gemini from your Graveyard. Gemini decks that specialize in sending your Gemini monsters to the graveyard often would use cards such as Future fusion, "Foolish Burial" or Featherizer. "Future Fusion" will send two of your Gemini monsters to your Graveyard (best to send "Gemini" monsters that require Tribute) which will then allow you to Summon "Superalloy Beast Raptinus" in a few Standby Phases. "Featherizer" will send a "Gemini" from your Deck to your Graveyard and allowing you to draw 1 card after being destroyed by battle. All Decks that deal with Gemini are extremely vulnerable to commonly played cards such as "Book of Moon" (which can reset the effects of Gemini monsters) and "Bottomless Trap Hole" (which not only stops their Summon, but removes them from play). Another problem with pure Gemini Decks is speed. Even when built for field-swarming, Gemini Decks can have a hard time matching the speed of the most commonly played archetypes that specialize in it, such as "X-Sabers", "Blackwings", and "Lightsworns". Other weaknesses include "Fortune Lady" Decks because of their Field Spell "Future Visions", which prevents Gemini monsters from gaining their effects, and "Black Garden", which would cut down the ATK down to a quarter before it would gain its effects. Also, Gemini monsters tend to rely more heavily on support cards than some archetypes, so Decks built around them more typically go over the forty card standard than others. This deck mainly concentrates on sending "Phoenix Gearfried" from either your hand or deck to the Graveyard, so that it can be Special Summoned. There are no Beast-Warrior, Cyberse, Dinosaur, Psychic, or Wyrm-Type Gemini monsters. However, the effect the Gemini monster "Skelesaurus" treats it as Dinosaur-Type after it has been Normal Summoned while face-up on the field. This page was last edited on 26 October 2018, at 06:23.